The Great Britain senior men’s programme was dissolved in 2013 and since the Commonwealths in Aberdeen 2014, neither England nor Great Britain has been able to compete in International competition. The WPMG is delighted to confirm that a senior programme for both men and women will be introduced with immediate effect. 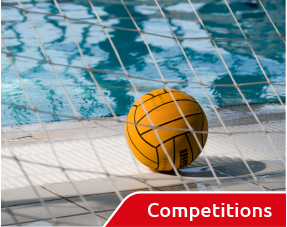 It is clear that any programme cannot simply pick itself up from the point at which it ended years ago and the support programme and the athletes need to be developed over a number of years to reestablish England and, hopefully, Great Britain water polo. 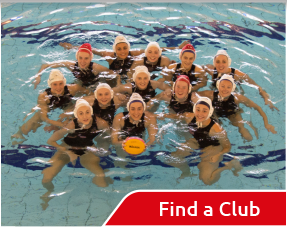 Funding remains a significant issue across the whole sport and it is envisaged that the senior programme will operate no differently at all to the development squads and that the programme will, in essence, be self-funded with some ASA contribution. 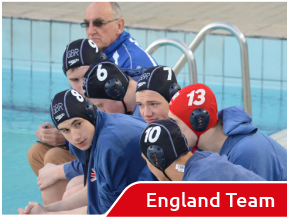 It is envisaged that a senior England men’s team will compete in May 2017 EU Nations Cup in Poland with the women competing in July in Pilsen, Czech Republic. 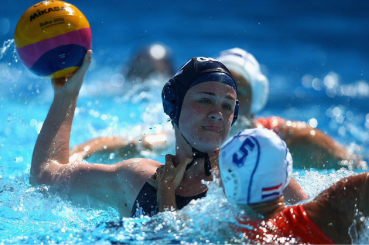 In addition, the Water Polo Management Group has been able to secure initial support for entry to the World Student Games which will be held in Chinese Taipei in August 2017. This will be confirmed early in the New Year. If confirmed, this squad will be a British squad and travel under the British Universities and Colleges Sport (BUCS) banner. The programme is in its embryonic stages with dates, staffing support and venues still being established. The programme is being developed by a team of volunteers and patience and understanding is required whist the programme builds. Selection will be by invitation rather than trial with the first training weekend for both men and women scheduled for Saturday 7th/Sunday 8th January 2017. For the avoidance of doubt, English, Scottish and Welsh athletes will be invited to the initial weekends with a view to the World Student Games in August. The qualification criteria for selection for the WSG is below and all students will need to be able to confirm that they comply and, eventually, demonstrate this to BUCS. i) Students who are currently officially registered as proceeding towards a degree or diploma at the university or similar institute whose status is recognised by the appropriate national academic authority of their country (e.g. the Department of Education in the UK). ii) Former students of the institutions mentioned in (i) who have obtained their academic degree/diploma in the year preceding the event. i.e. students graduating in 2014/15 are eligible to compete. All competitors must satisfy the following conditions. Students attending courses franchised out from an institution [complying with FISU Regulations 5.2.1 (i)] are eligible for selection providing they also satisfy FISU Regulation 5.2.3. The minimum level of study has been set at Level 4 of the Framework for Higher Education Qualifications in England, Wales and Northern Ireland, or equivalent. Level 4 is equivalent to Higher National Certificates (HNC) and Certificates of Higher Education (CertHE). The inclusion of students studying below Level 4 should not be at the expense of a student studying at Level 4 or above. Tickets are now available for our GBR U17 junior men’s LEN Euro Qualifiers in Manchester in 2 weeks time!